I spent this New Years Day with my husband’s family having a day of resting, celebrating, playing games, and eating some good food! We wanted to start the year off as a family, focusing on what we wanted 2012 to be about…and one of those things was quality family time. For me, having a great meal and fellowshipping around the table is one of the best ways to bond as a family! 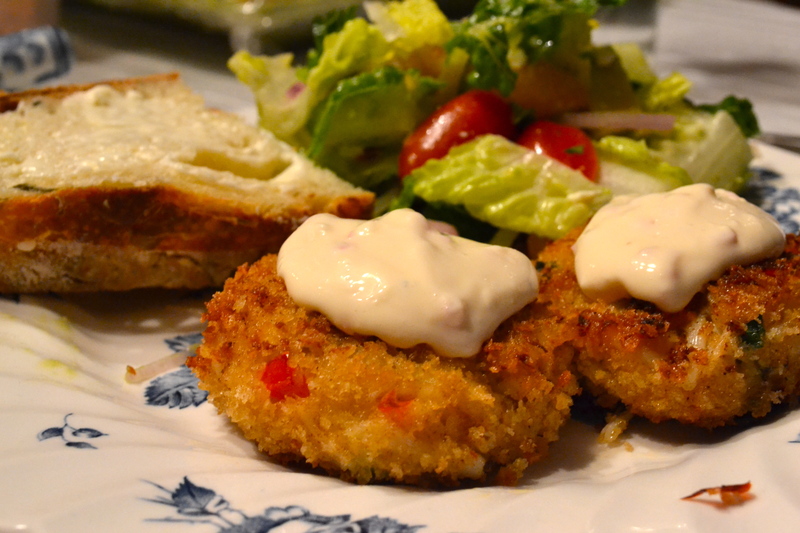 For our dinner on January 1st, I decided to make Dungeness Lump Crab Cakes with a side salad and Rosemary Bread! And then I quickly had to make a “new year’s resolution” not to “shellfishly” eat the entire plate before dinner started! These cakes are very rich and creamy on the inside while maintaining a crispy crusty coating on the outside…and they are just in-crab-ibly delicious! And no, I will not apologize for the silly seafood puns! Once upon a time there were two shortbreads. Both were very delicious but each claimed to be the MOST tasty and demanded a judge to taste them both and decide who was indeed the best tasting cookie. So the judge tasted one flavor and then the other…but could not make up her mind…so she tasted both again and then again. Then she called in her family and friends to taste the decadent cookies and help her make her decision! FINALLY she realized that she loved both shortbreads equally and turned to give them her results, but alas…the plates were empty as both batches of shortbread had been eaten up! 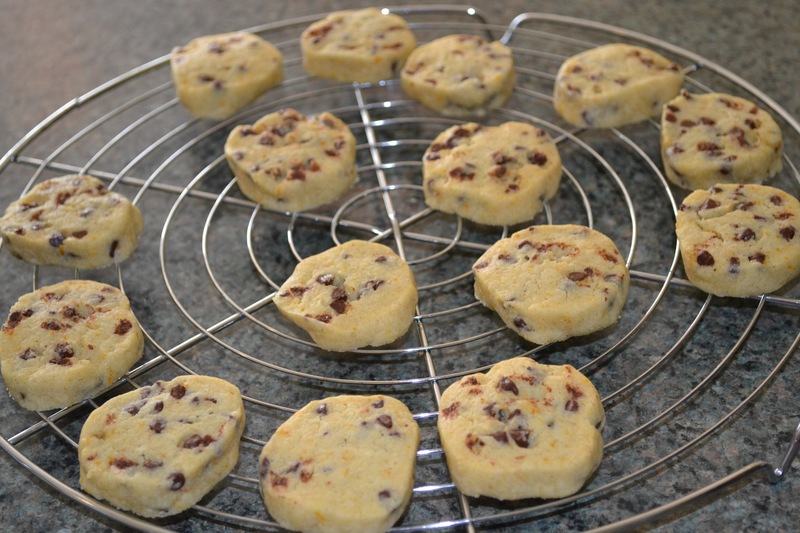 So I had never made a shortbread cookie until today…and today I made 2 delicious varieties! I have been craving baking and was wanting to make something new and unique and thought I would try this out! I made 2 separate half batches of shortbread cookies, one was a chocolate chip shortbread cookie, and the other was an orange, cardamom chocolate chip shortbread cookie! Both were VERY easy to make and really really yummy! I think dipping both of them in chocolate also helped to improve the fabulous flavor! The Orange Cardamom variety would be especially fun for the Thanksgiving and Christmas as it has a spicy and warm flavor…and basically tastes like the Holidays! 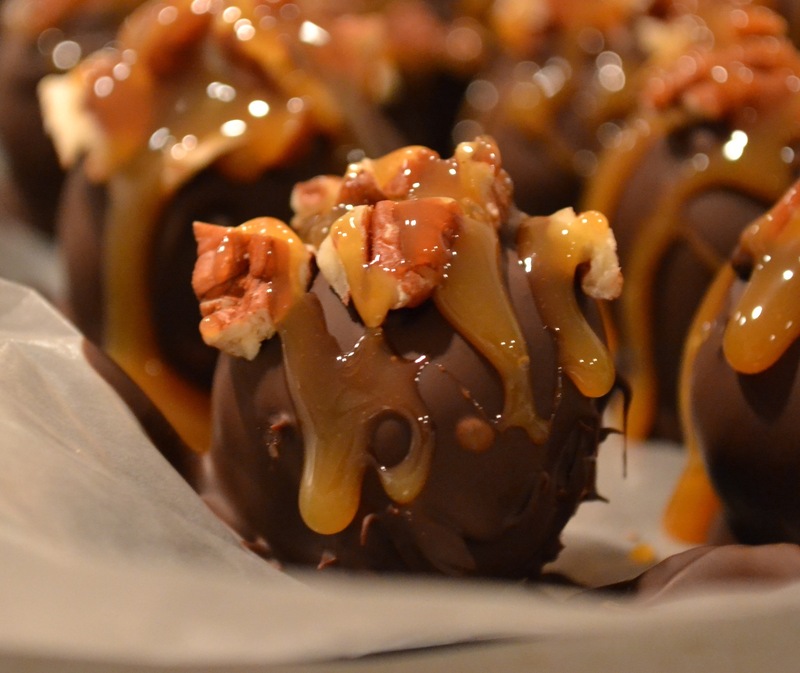 Turtle Cheesecake Truffles and my One Year Blogiversary Giveaway! One year ago today I started this blog and it has been a really fun year of trying and sharing new recipes and interacting with all of you wonderful people via this blog! I have thoroughly enjoyed this year and am looking forward to many more! I thought it would be appropriate to celebrate one year with at Chocolate Covered Recipe and I chose to feature these Turtle Cheesecake Truffles adapted from Steamy Kitchen’s blog! I made them for my Mother-in-law’s 60th birthday party and they were a huge hit! 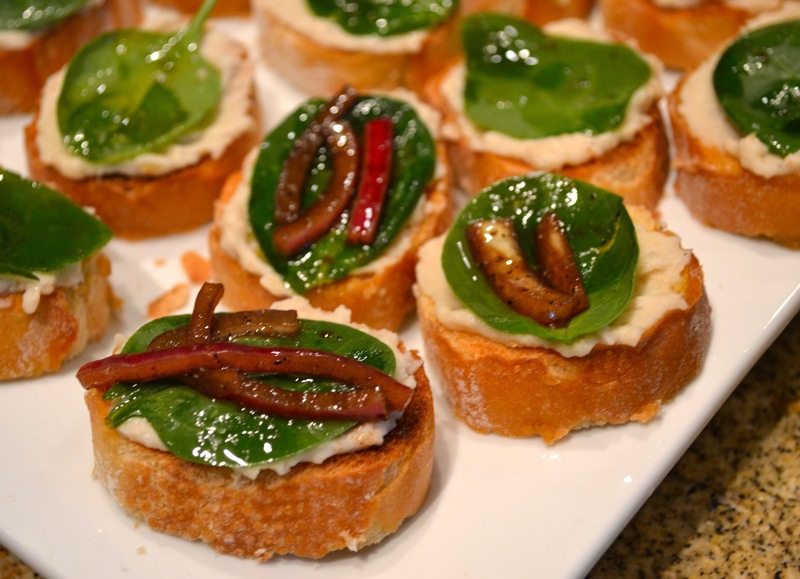 They are easy to make and are absolutely STUNNING on the plate! They are not overly sweet but are very rich and are perfect for a party! They also keep very well in the fridge for a couple days if you need to make them ahead of time. I ALSO thought I would start off my second year of blogging with my first GIVEAWAY! I am going to make a batch of my Famous Chocolate Chip Cookies for one lucky reader! The rules are simple: All you need to do to enter is to be a subscriber of my blog and leave a comment on this post! I will then randomly pick a winner and contact you via email to find out where to send the cookies! This giveaway is unfortunately restricted to within the USA. Good luck to all! My fabulous mother-in-law recently had a milestone birthday and we threw her a party with appetizers and desserts! This white bean baguette was one of the appetizers that I made and it is really really flavorful and delicious! A really close family friend, Nancy Fike introduced this recipe to me and I will be forever indebted! Not only are the flavors incredible, but the colors are striking! The white, green and purple together make a beautiful display while being very easy to put together! Hope you will try and enjoy! 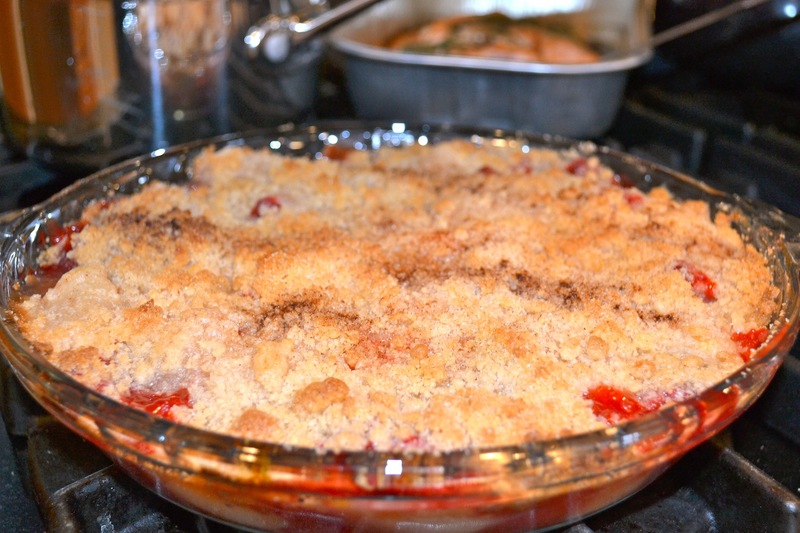 Strawberry Pear Crisp, a delicious improvisation! Ok..Easter was yesterday, but as I did not get to wish you all a Happy Easter then…today will have to do! My husband Chris and I are in the middle of purchasing our first home, and are busy packing up our house while getting everything ready to paint and clean up our new place before we move it! Saturday is the big move and the only reason I have one single second to put up a blog post is because the closing on our house keeps getting delayed, so we cannot get in the new place yet to start working! That is also the reason I had time to make this quick, impromptu dessert for our Easter meal yesterday! I was going to cop out and just buy some ice cream as I had been packing all morning! However, all you need to make this crisp is flour, sugar, butter, cinnamon, lemon juice and FRUIT!!! Even among the packing I was able to put together a quick topping mixture and then we went by the grocery store to grab some ice cream and any fruit that looked good! I wanted this dish to be Springy instead of Falley so I didn’t want to make an apple crisp. The only other fruit that looked ripe and ready for me were the Strawberries and Pears! SO, I thought…what the heck…lets make a Strawberry Pear Crisp! And it turns out that Strawberry Pear Crisps are AMAZING!!! 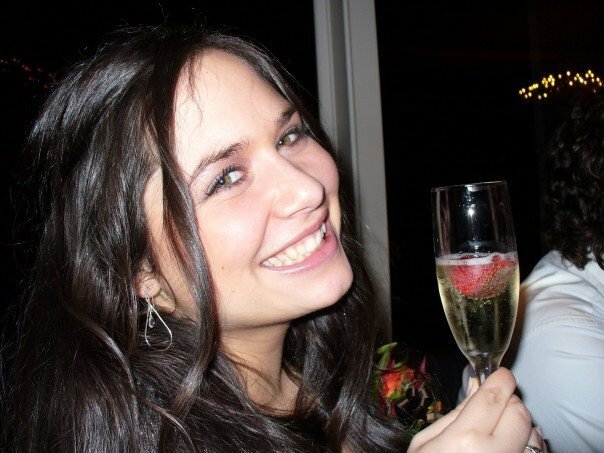 One of my husband’s favorite things to do is to watch a football game at home or at a Sport’s Bar and Grill. 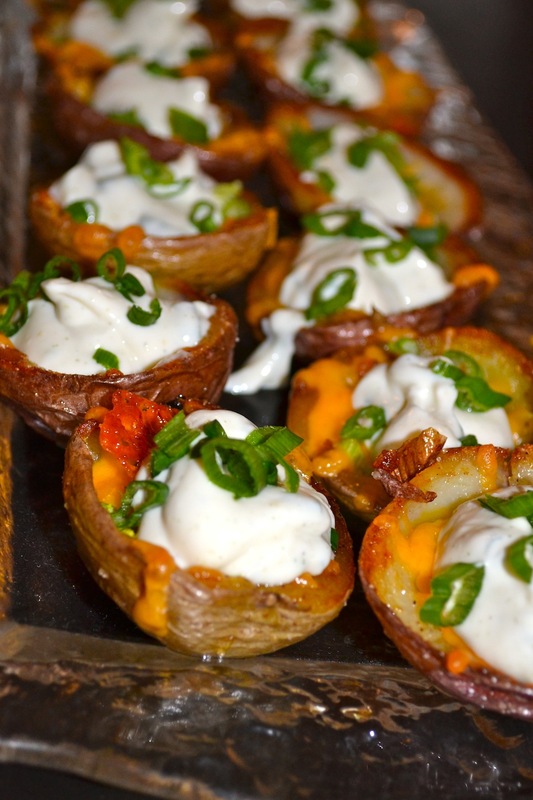 He likes to have a drink and some good food, and one of his favorite things to have is Potato Skins. I saw this recipe on one of my favorite blogs, Life’s Ambrosia, and decided to have my own go at them. I made one pan and when Chris and I ate them all in about 5 minutes I realized that this recipe was a KEEPER! I made these for a few football games this season and they are easier to make then you would think! It does take a bit of time to make them, but most of the time is spent in the oven so you can be doing other things while they are cooking. I hope you will try it out…and there is NO need to wait for the next football game…these are too good to wait till Football season starts again! 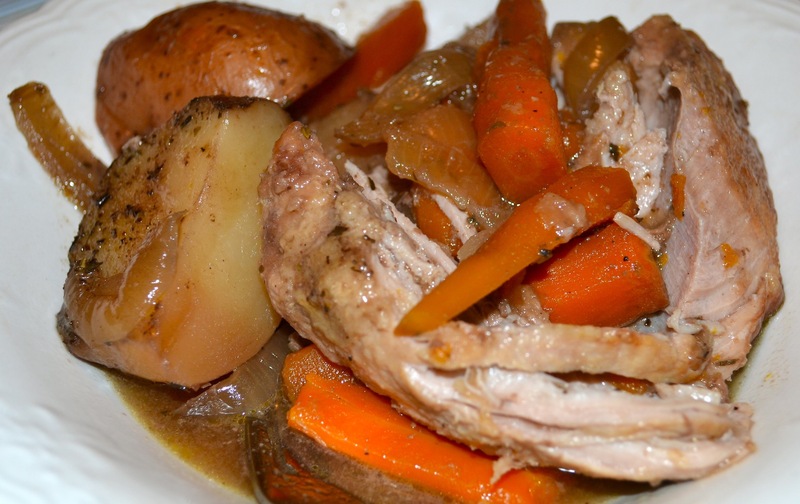 I am a firm believer that Crock Pots are one of the seven wonders of the world. You can put almost any combo of meat, veggies, legumes and herbs in there and when you come back hours later….it will have turned into some fabulous version of FLAVOR TOWN!!! I know if you have never used a Crock Pot…they might seem intimidating but I promise…it is one of the easiest, time-saving and friendly tools in your kitchen! I threw this particular combo in the pot around 11:00AM and when my husband got home around 6:00 PM, all we had to do was scoop the goodness into our bowls and partake together! I hope you will give it a try and let me know what you think!